Firstly, an enormous thank you to Tracy Fenton of The Book Club on Facebook (#TBConFB) for supplying me with ‘Our Endless Numbered Days’. I turned to Claire Fuller’s book after temporarily abandoning another novel I wasn’t enjoying and it was the perfect contrast. Reading ‘Our Endless Numbered Days’ felt like coming home after a long and arduous journey. The plot is simple; Peggy (or Punzel as she is also known) is taken away by her father to a remote cabin in the woods whilst her famous concert pianist mother is on tour. Peggy’s father tells her that they are the last remaining people alive. The narrative then builds around their life of living from the land. The book is written in the first person and although it is recounted some eight years after Peggy arrives in the cabin, Fuller manages to convey entirely convincingly the perspective of the child without resorting to contrived childish language. She write so beautifully that it is easy to picture what Peggy sees and to feel her emotions with her. Music is an iterative and cohesive image throughout the novel and Fuller’s writing echoes the swells, stops and refrains of that music causing the reader’s heart to follow the narrative almost against its will. Her writing is a rich tapestry of image, speech, event and emotion. The settings are exquisitely described so that each nuance of temperature, season, nature, weather, water and land can be appreciated fully by the reader. Every emotion is also laid bare. There is great happiness and sadness, love and hatred and considerable madness. The book has a sharply observed but subtly displayed psychological element too. As I was reading this I really didn’t want it to end, but at the same time I was desperate to know what happened to Peggy as I had become so emotionally drawn in to the book that I really cared about each of its characters. Occasionally, as a reader, there comes a book I wish I could have written and Claire Fuller’s ‘Our Endless Numbered Days’ is one of them. I can’t recommend it highly enough. I rarely choose crime thrillers, but was given the opportunity to read ‘Normal’ by http://www.netgalley.com and Harlequin Mira. Given that I protest its not a genre I usually enjoy, Graeme Cameron’s intelligent and precise writing may just make me out to be a liar! ‘Normal’ opens with the protagonist carefully cleaning up, having murdered and dismembered Sarah in her own home, and follows as the protagonist’s life becomes more and more chaotic leading to a mesmerising conclusion. At no point are we given the protagonist’s name, or any real detail about his appearance which adds to the psychological effectiveness of Cameron’s book. If we don’t know who he is, he could be the man next door, or the one on the bus, or a member of our own family. Many of the characters are deeply flawed, but equally plausible so that we are left questioning what we really know about anyone. I would have liked a little more detail about the main character’s past to give me a better understanding of his present behaviours, but I appreciate that this was probably a deliberate technique to keep the reader guessing. Written in the first person, the style is incredibly conversational and often quite humorous, at times making the reader feel they are truly inside the murderer’s head. The technique of interspersing direct speech with the protagonist’s thoughts was scarily good, making the reader have the thoughts at the same moment. This has the effect of almost making the reader become the murderer. At times I found myself almost liking this monstrous person. Once or twice I felt the plot was a little fractured and had to check back over what I’d read, but I found the structure of leaving a cliff hanger at the end of so many chapters gave ‘Normal’ a vibrancy and engaged me as a reader almost against my will. As the end of the novel approached, so did my heartbeat and my desire to see how it ended. The descriptive writing was concise and often quite poetic giving a vivid, cinematic view of the world of the novel. I may not be a fan of crime thrillers, but Graeme Cameron’s highly charged and tautly written ‘Normal’ might make me a convert. If readers were expecting an adult fantasy tale in ‘My Grandmother Sends Her Regards and Apologises’ they may be disappointed. I haven’t read ‘A Man Called Ove’ (yet, though I will as a result of reading this one by Fredrik Backman) and I understand from other reviews that some readers like this less. However, as a wonderful story that blends fairy tale myths with real life it is absolutely brilliant. Elsa’s seven going on eight self is wise beyond her years and her character is portrayed utterly convincingly as with all the others who live in the same block of flats. Whilst many of their characteristics are familiar, none is stereotyped. As the stories that link them together unfold, we become aware of the layers of human personalities who have their flaws and their positive aspects. The writing is skilful and engaging with nothing lost in translation. The plot is well constructed so that the reader is keen to know what happens next as Elsa delivers a range of letters from her recently deceased Grandmother. Written in the continuous present I can see that some readers might feel that the narrative is overlong, but I loved every word of it. It made me laugh out loud at some of the Grandmother’s comments and it made me cry with empathy for characters I had come to care about in other places. I read this in one sitting as I’d volunteered to read and review it for the Facebook Book Club I belong to. Reviewing this book is quite difficult as the success of its humour depends on the taste of the reader. I found wigs, farts, nose picking and cracking people over the head with rolling pins too much like the humour of immature teenage boys to be comic for me, but if you like slapstick I think you would really enjoy this story. The plot is well designed, bringing the criminal Soddalls together with the too long married Arthur and Gretyl well. The characters are depicted clearly, if somewhat stereotypically, although there is some real pathos attached to Arthur. Short chapters help retain the reader’s attention and the dialogue was particularly effective with accents conveyed convincingly. Despite all the twists and turns in the plot, however, I thought there was little depth or development with far too much dialogue so that it felt as if I was being told what was happening by the characters rather than reading it for myself. It felt more like a film script than a novel. Some will love this and some will hate it. I thought it was competent. This was a book received for review from the wonderful http://www.lovereading.co.uk. I’m always sceptical about the proclamations of brilliance that accompany many book blurbs, but ‘Unravelling Oliver’ deserves every one of them. Liz Nugent’s carefully crafted sparse eloquence begins with the opening sentence of ‘I expected more of a reaction the first time I hit her’ and continues to the very last word. Told from the perspective of a range of characters, opening and closing with Oliver himself, each chapter gives their first person perspective and adds to the reader’s understanding (or unravelling) of Oliver whose life the narrative explores. 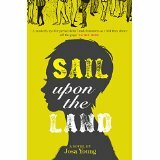 For a book that can be read in just a few hours, there is such a precision of writing that no word is out of place or unnecessary so that the reader is drawn in to the events highly effectively and given a thorough understanding, not just of Oliver but all the others in this tragic and moving story. Although it may not seem a flattering comparison, I felt this book was like dry rot – its fingers spread throughout the plot and enmesh the reader and the characters together so that there is no escaping the power of the writing. I’d thoroughly recommend reading this – whether you are a reader or an author. Less is definitely more.